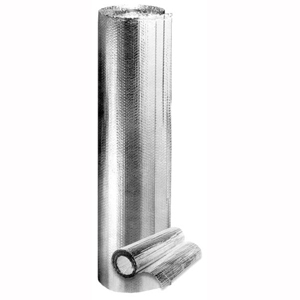 AstroShield White II reflective insulation consists of TWO HEAVY-DUTY LAYERS of white polyethylene bubble film with a layer of metalized aluminum film on one side making a structure 5/16-inch thick. 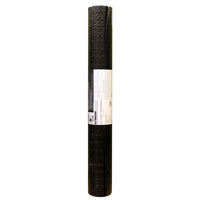 A high strength condensation barrier and reflective insulation designed for heated and unheated commercial and agricultural buildings. AstroShield White II will reduce heat gain, form a wind and vapor barrier, reduce condensation, and is bird, insect and rodent resistant. 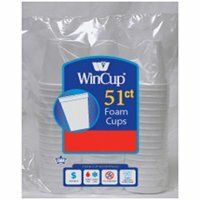 The double layer of white bubble helps you achieve a bright white, washable interior finish. WHITE/BUBBLE/BUBBLE/REFLECTIVE. 4' x 125' Roll. 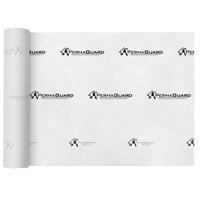 AstroShield White I reflective insulation consists of a LAYER of white polyethylene bubble film with a layer of metalized aluminum film on one side making a structure 3/16-inch thick. 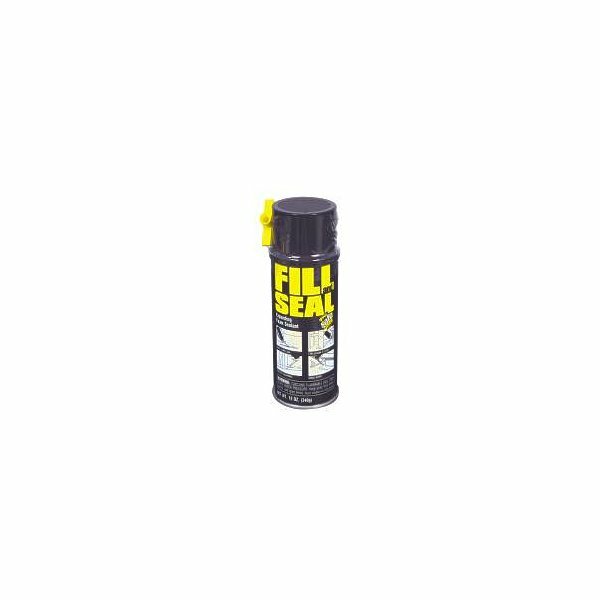 An economical condensation barrier and reflective foil insulation designed for heated and unheated commercial and agricultural buildings. AstroShield White I will reduce heat gain, form a wind and vapor barrier, reduce condensation, and is bird, insect and rodent resistant. WHITE/BUBBLE/REFLECTIVE. 4' x 125' Roll. 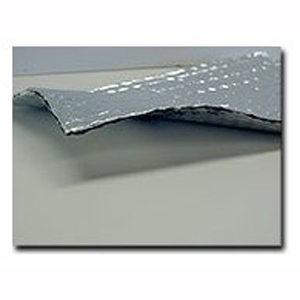 AstroShield I is a reflective insulation product that features one layer of polyethylene bubble film sandwiched between two protective sheets of strong metalized aluminum polyester film. This metalized aluminum film provides a reflective surface that blocks 94 percent of radiant heat, unlike fiberglass, foam or cellulose insulation, which absorb heat. 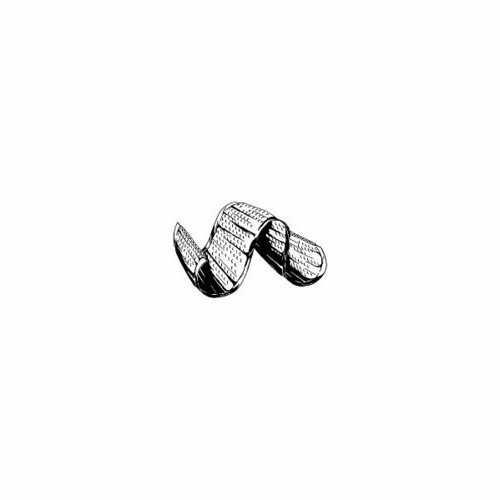 When materials absorb heat, they merely slow down its transfer. AstroShield can dramatically improve thermal performance and energy efficiency, keeping energy costs lower and interior spaces more comfortable. 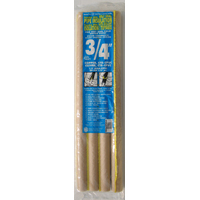 A HIGH-STRENGTH Insulating Moisture Barrier for use below Heated Concrete Floors. 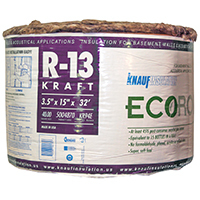 An absolute moisture barrier, it keeps heat-robbing ground moisture away from the concrete. 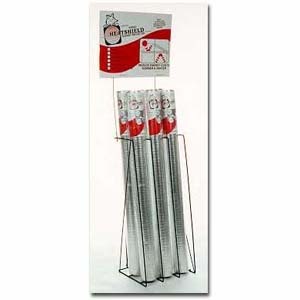 Reduces downward heat loss by over 50%. 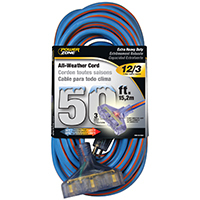 Exceeds the requirements of most HVAC load calculation programs. Super-Strong 338 PSI Puncture Resistance. 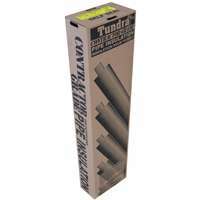 Will support over 6" of concrete plus floor loads indefinitely. 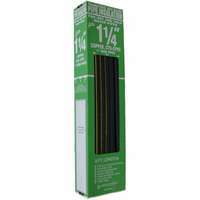 Total of Over 16 mil Extruded Polyethylene Film. Withstands rough handling by installers and finishers. Air-Encapsulating Vacuum Formed Bubbles. Results in a structure that will not delaminate. Laminated With 99% Pure Polished Aluminum. Adds a reflective benefit to the intrinsic R-value. PET Coating Strengthens and Protects Foil Against Chemical Erosion. 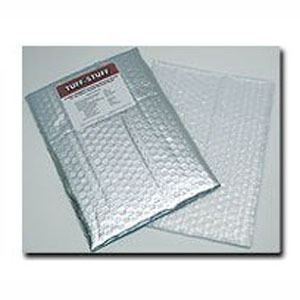 Tuff-Stuff can be laid with the foil side up or down, whichever is most convenient. 4' x 125' Roll. AstroShield II is a reflective insulation product that features two layers of polyethylene bubble film sandwiched between two protective sheets of strong metalized aluminum polyester film. This metalized aluminum film provides a reflective surface that blocks 94 percent of radiant heat, unlike fiberglass, foam or cellulose insulation, which absorb heat. When materials absorb heat, they merely slow down its transfer. AstroShield can dramatically improve thermal performance and energy efficiency, keeping energy costs lower and interior spaces more comfortable. 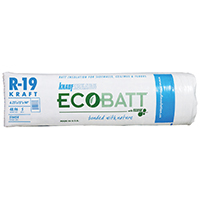 R+HEATSHIELD is Innovative Energy's line of radiant barrier insulation products made from a woven polyethylene material covered by a metalized film. This metalized film provides a reflective surface that blocks 95% of radiant heat, so it helps keep spaces cooler in summer and warmer in winter. R+HEATSHIELD HD can dramatically improve thermal performance and energy efficiency, keeping energy costs lower and interior spaces more comfortable. 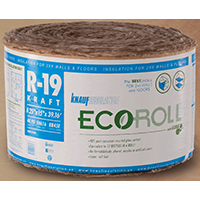 Use R+HEATSHIELD Solid in hot, humid climates as a vapor and radiant barrier. Stops heat intrusion or loss in buildings and, because of its tear strength and puncture resistance, can span up to eight feet unsupported. Standard roll size: 4' x 125'.